Extraordinary Kihnu Island awaits visitors in every season! Lively women in striped skirts and red patterned headscarves, old grannies clicking their knitting needles, fishermen bustling around in the harbour, melodious chatter in Kihnu dialect, village parties and dances, modern day interlaced with traditions—visitors will be amazed by all of this, yet for people of Kihnu it is just everyday life. Kihnu, the island of treasures, awaits adventurers who enjoy exciting stories about the island’s history and wish to take part in its mysterious cultural and artistic riches. Visitors are welcomed by guides at the harbour. Touring the island in a truck is a crash course in learning their way around the island, what to see and where to stay. 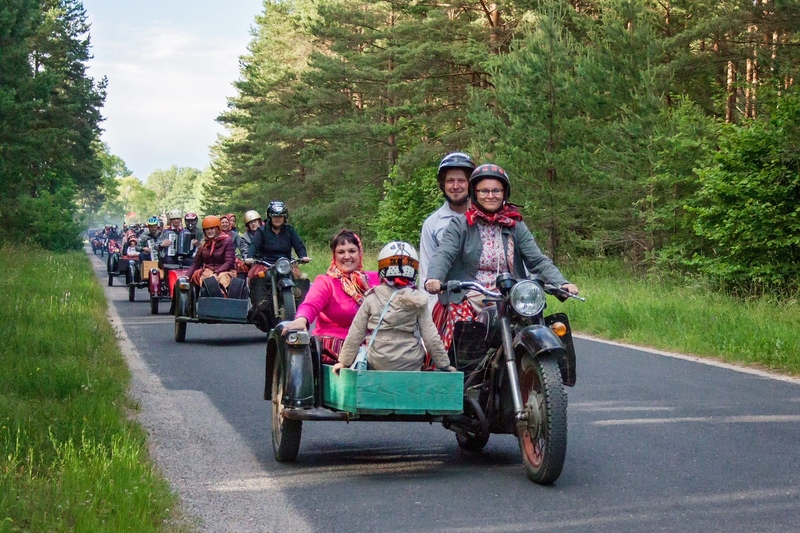 If you’re in luck, you may even see a sidecar motorcycle whirring by on your tour. Sightseers can make their first purchases at Kihnu harbour market (Sadamaturg), buying local handicrafts or refreshments. Those who reach the top of the newly renovated Kihnu lighthouse will be rewarded with a magnificent view of the sea, islets and the entire island. The land alternates between lovely farm complexes built with hard work and thought and fields or pine forests. The best way to discover this piece of land in the middle of the sea is through the Kihnu Travel Wheel Kihnu Reesuratas. After completing this 23 km long tour, you’ll have a good idea of the life in the island’s four villages and the nature, sights and people of Kihnu. For example, exhibitions in the Kihnu museum in Linaküla’s old schoolhouse introduce fascinating local customs and traditions or even the life of famous sea captain Kihnu Jõnn. Here, Kihnu’s cultural history, which belongs in UNESCO’s list of masterpieces of the oral and intangible heritage, is preserved. Spring with its blooming blue and white forest flowers arrives on Kihnu Island a few weeks later than on the mainland. Visitors therefore have the amazing opportunity to enjoy the arrival of spring once more! Nature hikes are organised throughout the year. Hikers learn local tales and legends about the area’s past and present, while trails lead to places off the beaten track. During the Kihnu Baltic herring expedition in the spring, the Estonian national fish finds itself in the spotlight. Various Baltic herring dishes that are prepared using local recipes are served at food and handicraft fairs, by many farms and businesses. Smoked Baltic herring and Baltic herring rolls are especially delicious if eaten with Kihnu bread. Locally-produced drinks are offered with every meal. In workshops, you can learn how to fillet, smoke and roll fish. A raffle is held for all participants of the May celebration. The big party starts in the evening and does not stop as long as there are people present. Those who want to know the tips and tricks of catching sea creatures can learn from an experienced guide on a fishing trip. In early summer, when lilacs are in bloom, womenfolk begin preparing for Kihnu Keretäüs, the pop-up cafe days in the beginning of June when people offer local food and an unforgettable cultural programme. On Saint John’s Eve, an old fishing boat that has served its purpose at sea will be set on fire. Seeing Kihnu striped skirts twirling at the village party site has a bewitching effect that draws you in, remedies the senses and replenishes the soul. Originally a fishermen’s festival, the Kihnu Sea and Folklore Festival (Kihnu Mere Pidu) is the biggest festival on the island that gives an overview of the local life. 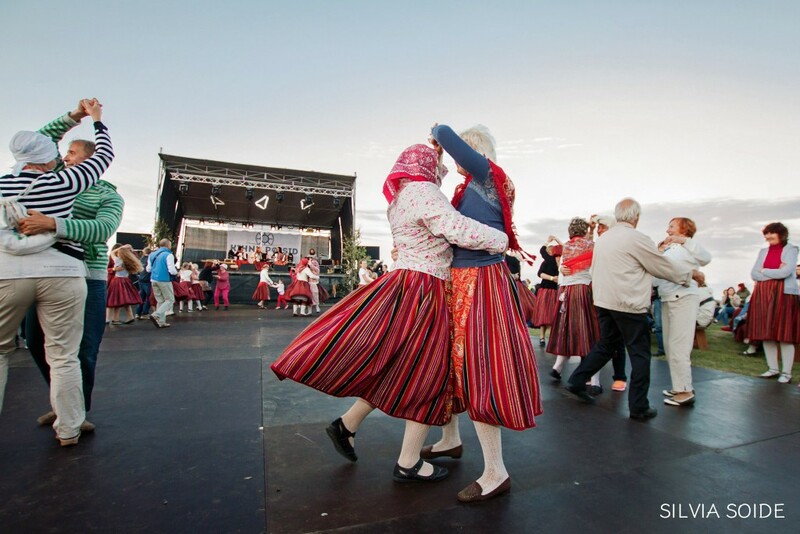 There are various activities for participants of all ages: folk crafts and food fair, workshops, performances, games, evening concerts in July and energetic dance parties. Kihnu Dance Festival Kihnu Tansu Päe, which takes place in balmy August, teaches the traditional dances from Kihnu’s cultural heritage. Thematic seminars are also held and various concerts and a village party will take place. An idea brainstormed by mainlanders found a nice home in Kihnu and Männäkäba marathon was created. It is no ordinary sports festival with different competitive activities, but a health event that ends with award ceremonies and a village party. 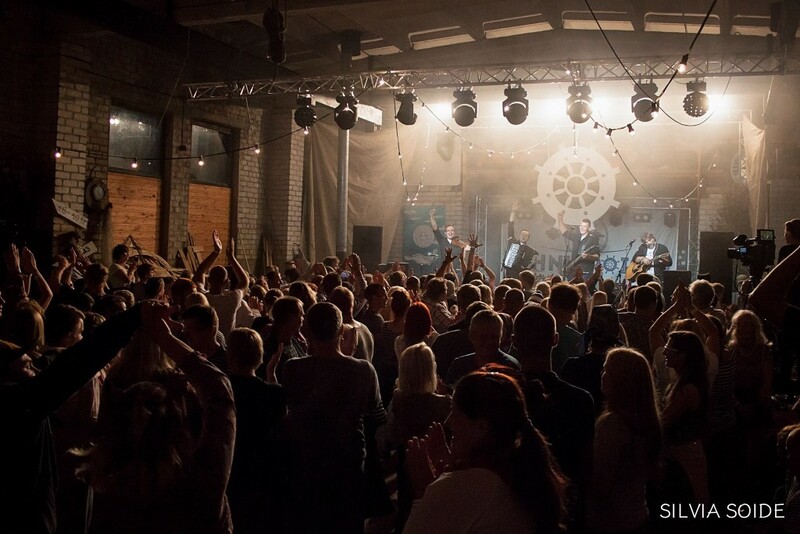 The best violinists in Estonia may find themselves competing with the October winds as they play music at the Violin Festival in autumn, bringing with them fresh knowledge and ideas to help the local music tradition live on and inspire young musicians. The art of sound connects all Kihnu people—whether by playing music or by listening to others. Several wonderful concerts have originated from Metsamaa culture farm. This traditional farm complex exhibits, values and promotes local lifestyles. 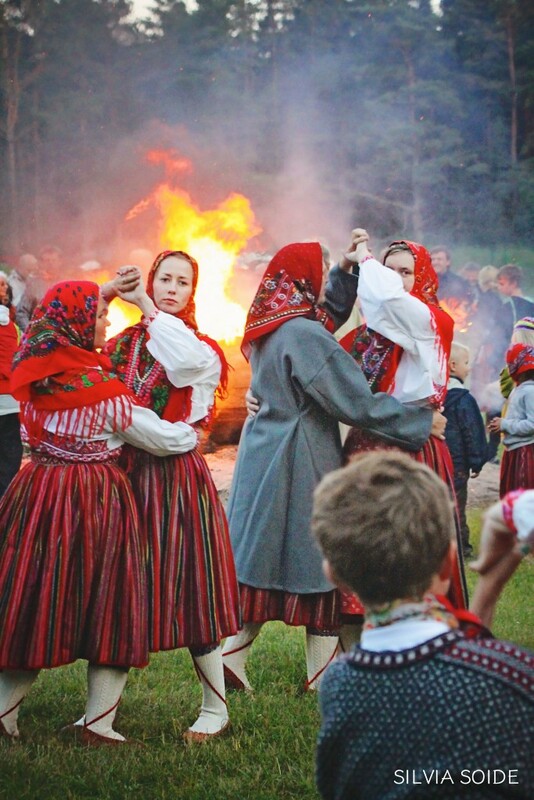 In doing so, it also keeps alive the traditions related to the events in the Estonian folk calendar. 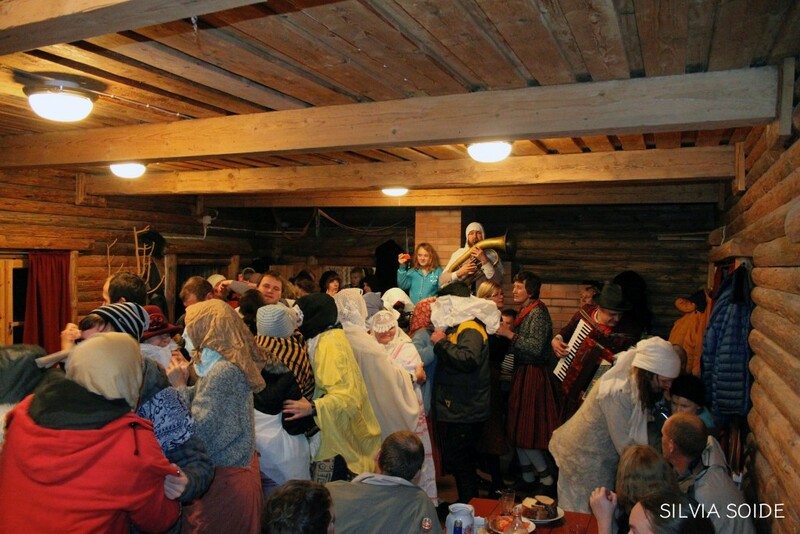 On Kadripäev or Saint Catherine’s Day, when the darkest time of the year has once again taken hold, people gather together to dress up as kadri beggars according to the old custom. People set their tables and eat and afterwards, accompanied by music, they go play jokes on the residents in the neighbouring village. The lively dancing and merriment lifts spirits and people wish each other well and drive away the darkness. When the bitter cold has lasted for a while and the sea hides underneath an icy surface, visitors can come discover Kihnu in a particularly splendid way—by using the ice road. The ice road is about 11 km long and those with the desire to hike can use the opportunity to do so. Whether you ski, use a kick sledge or drive along the marked road, you may come across anglers dedicated to ice fishing. After consulting with experts, anyone who is interested can join in and an unforgettable travel experience is guaranteed. On Christmas Day, people stoke fires in their saunas, families dress in traditional clothing, candles are lit in the cemetery, people attend church service and sit together with loved ones at home eating a Christmas dinner. A pine tree decorated by children takes on the role of a Christmas tree and presents are handed out. People share memories of the past year and make plans for the new one. Kihnu is small and the people are friendly. Everyone is happy to share information on where to eat and which road to take to find housing. Time has another dimension on Kihnu Island, broadening the minds of all visitors. We hope to see you soon!